Tulips are back!!! 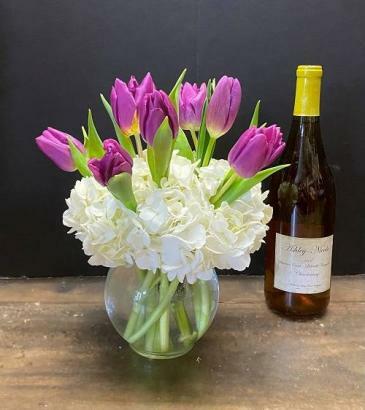 We start with a base of fluffy hydrangea and add 10 stems of fresh tulips! Enquire about color availability. 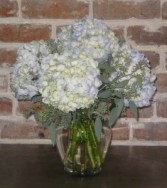 A vase filled to the brim with puffy hydrangea. We've used blue here, but call for color availability. 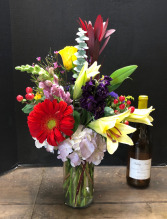 This wonderful design is sure to please Mom!